"A note of thanks for a spectacular job! I so enjoy walking along the paths in my garden. I had a sloped and very challenging section to my yard. Diane saw so much potential in my yard and she was excited to take on the project. Two other landscape professionals I approached said it was more than what they could do. The skill and talent of the entire Marrazzo team was amazing. The stone work is so very beautiful! It is like a work of art to enjoy for many years to come." "Diane and Anthony - We loved working with both of you and your crew. Thank you for your patience, wonderful ideas and the great customer service you both gave us! 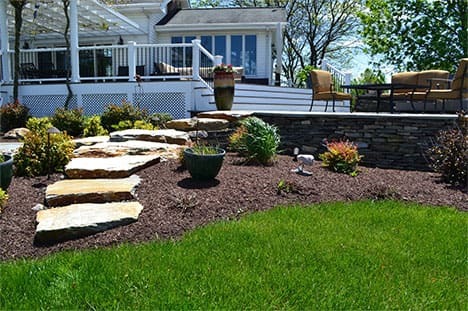 The project including a new bluestone porch, walkway, privacy fence, shrub removal and new shrub configuration exceeded our expectations. If anyone wants a quality project with a talented crew, Marrazzo North River is the way to go. Thank you again for the attention to detail, listening to our needs and coming up with great solutions." 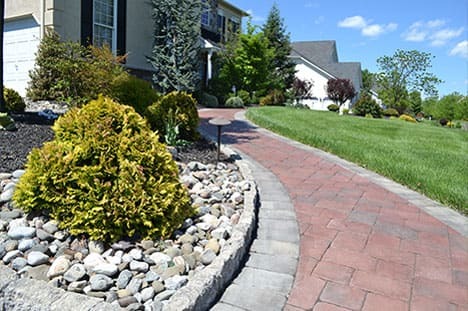 "We were fortunate to find Marrazzo's North River's website during the process of selecting someone to do our front yard project. To say we could not be any happier with everything is an understatement."